As the weather gets warmer, your HVAC contractor's schedule is going to quickly fill up with installations and service appointments. Booking your A/C tune up ahead of the rush means you won't have to endure a long wait for service later on, when it might affect your home comfort. The condition of your A/C directly correlates to how much energy it uses. Having your technician inspect, clean and make needed adjustments to the A/C before cooling season begins can keep it operating at maximum efficiency, so you save money on energy all summer long. 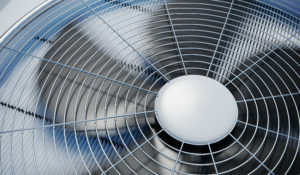 An A/C is like most other types of mechanical equipment – small issues that aren't dealt with tend to develop into bigger problems and more costly repairs. During spring maintenance, your technician can identify such issues so you can get them fixed early on, before they escalate. Taking care of minor issues also boosts your A/C's reliability when it's under a heavy summer workload. By scheduling a spring tune up, you lessen the likelihood of needing emergency service during the cooling season. Running your A/C when it's not clean and tuned up can shorten its lifespan. The opposite is also true -- timely preventive care can extend your equipment's service life, so you put off the cost and inconvenience of replacement. If your A/C is covered by a warranty, a spring tune up ensures that you comply with the manufacturer's requirement for yearly professional maintenance to keep your coverage intact. To book a spring A/C tune up for your Fort Wayne home, contact us at Hartman Brothers Heating & Air Conditioning.